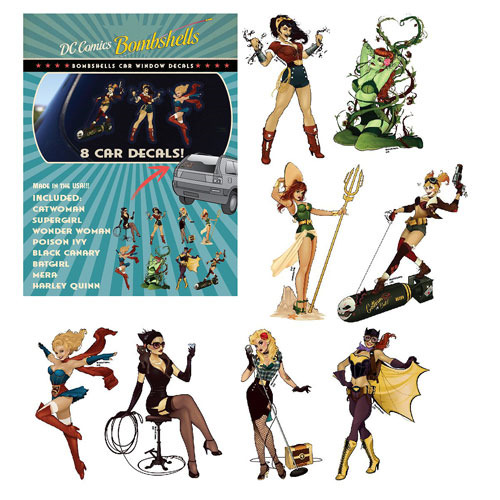 The bombshells of DC Comics are here to decorate your car windows! The DC Comics Bombshells Car Window Decal Pack includes Wonder Woman, Harley Quinn, Batgirl, and more. Decals measure approximately 5-inches. Ages 13 and up.